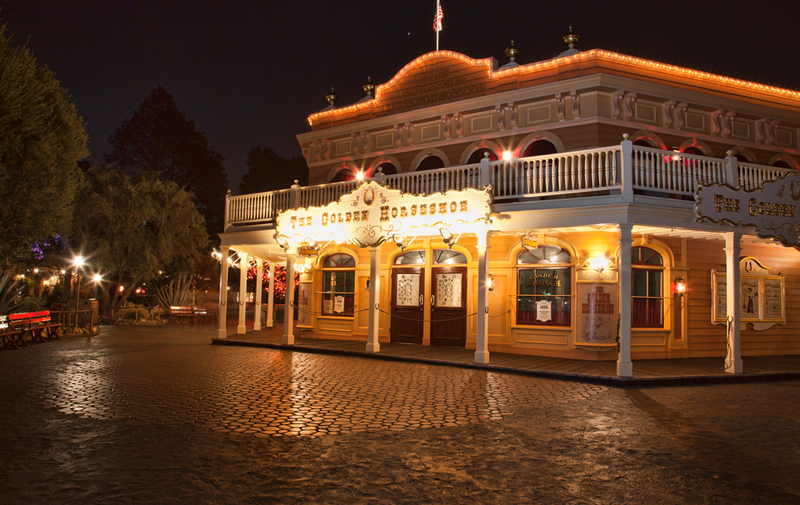 Starting Thursday, get a taste of “Limited Time Magic” at the Golden Horseshoe at Disneyland park, where the celebration includes a special tribute to the historic “Golden Horseshoe Revue” but also includes some fun eats that will make the whole experience even more fun. The bite-size renditions of the Monte Cristo are back, one of the all-time favorite Disneyland sandwiches. Indeed, the delightful little bites are on the “Limited Time Magic” menu just for this show that runs from January 10-14, January 17-21, January 24-28 and January 31-February 4. “A Salute to the Golden Horseshoe Revue” takes you back to the days of musical variety shows (the kind that Walt Disney loved), but the food is decidedly contemporary – crispy mozzarella sticks, chicken wings, chicken salad and those Monte Cristo nuggets served with sliced apples and blackberry jelly. (You still can get the popular chili cheese fries and the chili in a bread bowl with shredded cheese.) And a special sweet ending is red velvet cake with cheesecake mousse, raspberries and a snazzy can-can girl decoration.